Comes complete with FCS Fins: US Centre Box FCS 8" and sides GL. The new DURA-TEC 7’6 Mini Nose Rider is perfect for enjoying the fun nose-riding capability of a longboard, while still being as maneuverable as an EGG board. 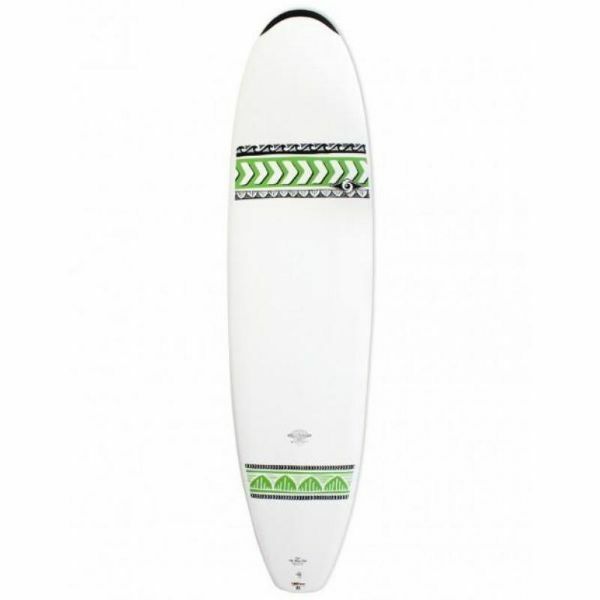 Shaped by the legend Gérard Dabbadie from Hossegor, France, this board features a wide nose section, tight rocker profile and concave, and a beveled hull design for easy nose riding; combined with a wide rear section and pronounced V-Shape on the bottom giving the board excellent handling in radical turns and tight carves on the face of the wave. With almost the same volume as a genuine long-board, the board is accessible for all skill levels.